917 cards all autographed or patch or both. This is a huge premium collection with too many huge names to list and photograph. All cards in scans and photos are included and many more. Please review ALL photos as the pictures are not in any particular sport or value order. I want to make sure you see everything your getting! Many Many thousands in dollar Value. A few highlights listed as follows. 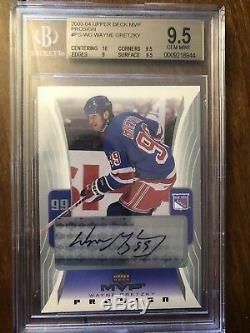 03-04 Upper Deck Mvp Prosign Wayne Gretzky Auto POP 1 Bgs 9.5/10. 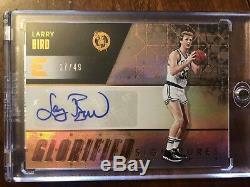 2017 Panini Essentials Larry Bird Auto #17/49. 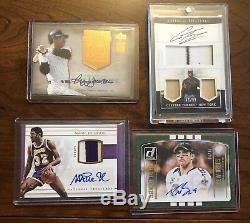 2014 Panini National Treasures Silhouette - Nolan Ryan - Auto Jersey relic 5/5. 08 Donruss Playoff Prime Cuts Century Timeline Platinum Frank Robinson Auto 1/1. 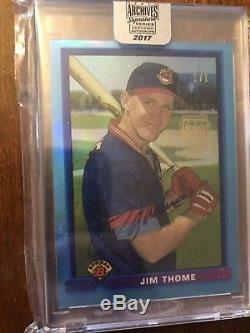 2017 Topps Archives 1991 Bowman Jim Thome Blue Refractor Auto 1/1 Indians. 2014 Topps Odell Beckham Jr Rookie Auto. 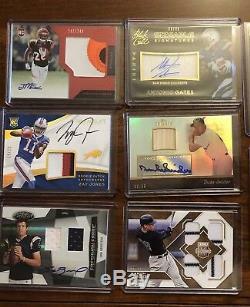 2017 Immaculate Aaron Judge 3 Color Rookie Patch Auto /99 Yankees RC RPA. Alexander Ovechkin 2012-13 BGS 9.5 Fleer Retro auto. Kyle freeland 2014 Bowman Chrome BLUE /150 BGS Gem Mint 9.5/10 AUTO RC Rockies. Stan Musial signed 2016 Topps 100 Years at Wrigley Field auto baseball card STM. 2011 Bowman Platinum Refractor Bryce Harper ROOKIE RC AUTO BGS 9.5 GEM. Reggie Jackson 2005 Upper Deck Hall of Fame Seasons Auto #HFS-RJ2 #01/25. 2016 Topps Triple Threads Curt Schilling Game-Used/Auto TRUE 1/1 Diamondbacks. 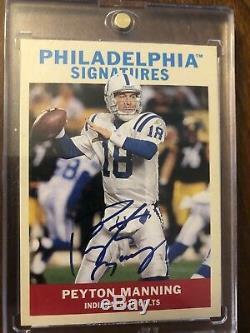 2009 Upper Deck Philadelphia Football Signatures Peyton Manning Auto. 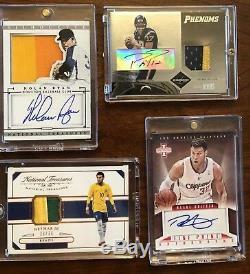 2018 Panini National Treasures Neymar Jr Material Treasures PATCH #23/35. 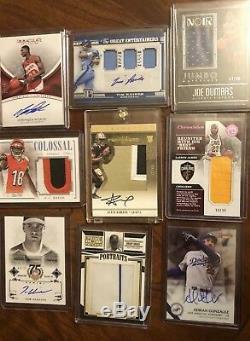 2017 National Treasures Triple Relic Auto Gleyber Torres 45/99 Yankees Lot A. 2011 Topps Tribute Duke Snider Autograph & Bat Patch /99. 2016 Aaron Judge Elite extra edition gold card quad Jersey RC #QA-AJ SERIAL #D 6/99. 2014 Topps Triple Threads Mike Schmidt Bat Auto /99 Autograph Card Phillies HOF. 2005 Absolute Marks Of Fame Johnny Bench Auto Card Cincinnati Reds HOF 30/133. Justin Verlander 2005 BOWMAN BEST RC AUTO /974 BGS 9. 2008 Upper Deck American Hero Ken Griffey Jr. AUTO Autograph Graded Card serial #3/3. 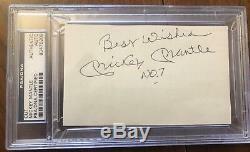 MICKEY MANTLE YANKEES HOF CUT AUTO AUTOGRAPH PSA/DNA W/ BEST WISHES & #7. 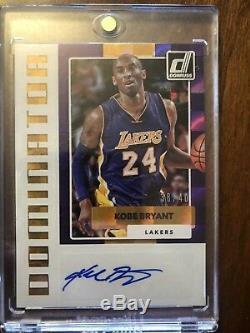 2017-18 Donruss Dominator Kobe Bryant AUTO 38/40 Los Angeles Lakers. Jerry Rice 2012 Topps Supreme Jersey Patch Auto # 4/5. 2003-04 Bowman Signature Carmelo Anthony RC Rookie Jersey AUTO 243/249. Leonard Fournette 2017 Jaguars Panini Limited Rookie On-Card Auto SP /149. 2005 Leaf Limited Miguel Cabrera Auto & Relic /50. 2011 Topps Supreme Matt Ryan Falcons Auto Autograph Game-used Jersey Relic # /20. Blake Griffin 2012/13 PANINI Innovation fine print auto. 2017-18 national treasures Kevin Durant Auto Game Worn Jersey 10/49. 2016-17 National Treasures Magic Johnson Auto Jersey #2/15 2 color. Please feel to contact me for any questions. Please see photos and scans for conditions. 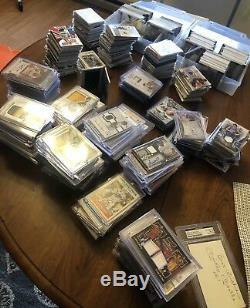 The item "(917) Huge RC Auto 1/1 Lot collection Mantle, Gretzky, J. Rice, Neymar, Judge" is in sale since Sunday, January 20, 2019. This item is in the category "Sports Mem, Cards & Fan Shop\Sports Trading Cards\Football Cards". The seller is "shanea1082" and is located in Danbury, Connecticut. This item can be shipped to United States.